Productivity amongst employees is, most of time, indirectly linked to motivation. 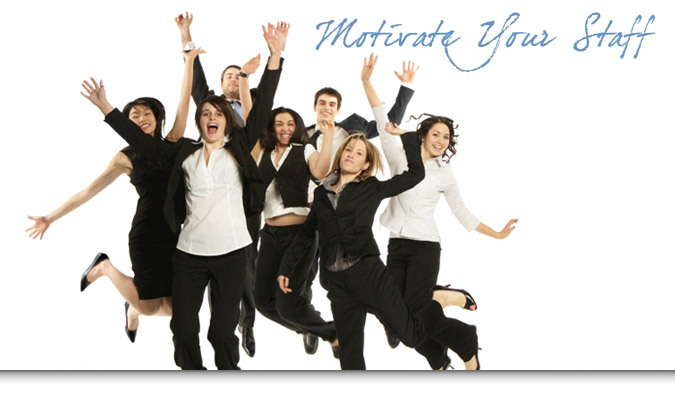 Therefore, the key to increasing productivity in your business could be to motivate your employees. This can be easier said than done in some cases. So why is productivity so important? The productivity of your workforce impacts how well your business performs. If your staff are utilising their hours with high quality work then, in turn, your business should feel the benefits in terms of both profit and client relations. During the interview stage of hiring your employees, it’s likely they asked you what the work benefits were. Meaning what are the extra opportunities and perks your company can give them, that another cannot. Introducing benefits can encourage employees to perform better, especially if they are goal-related. Some effective ideas for benefits include: Gym memberships, restaurant vouchers and early finishes. Making your staff happy correlates to how motivated they feel to do well in their jobs. Having an open plan office encourages teamwork and collaboration. Whilst collaboration between departments may be difficult if they’re situated on separate floors, certainly encouraging relationships within departments can be great for employee motivation and productivity. Creating a relaxed open space will make your staff feel more comfortable with sharing their thoughts and ideas with the rest of the team. Some of the best ideas come from collaborative work. Creating a safe environment in the workplace contributes to a happy and healthy workforce. The atmosphere within your office or factory can affect your employee’s mood and overall health. Firstly, consider improving the space from an aesthetics point of view. Light coloured walls, artwork and plenty of window space can lift the mood of the room. Secondly, add a few easy to care for plants around the building, it’s proven that plants in the work environment can boost the health of staff. It’s also worth considering a ventilation system if you’re operating a larger business in the centre of a city where they may be a lot of pollution. Poor air quality can have a detrimental effect on those living and working within a city, so any steps you can take to improve this would greatly benefit your workforce. Encouraging positive relationships within your workforce should extend to out of office hours. With regular meet-ups, after work drinks and teambuilding activities, your employees will find they have better communication skills with their colleagues. Ultimately this should encourage their ability to share new ideas, and teamwork will improve because of this. Once you’ve established which motivation ideas will work best for your workforce, you can consider how you will implement them within your workforce. When it comes to work benefits, you may find it useful to ask your employees what they would like to see, meaning they have had the chance to voice their opinion.